Most of us take Saturday brunch cocktails for granted. We mix our tomato juice, spices and vodka together with a celery stick. Heavily garnished with vegetables and electrolyte-rich salt, it is our breakfast in a glass. 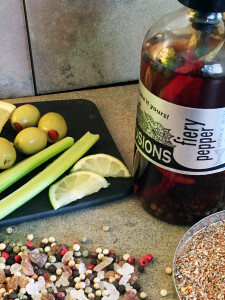 All those healthy additives can make Bloody Mary appear a bit matronly—nothing could be farther from the truth. That tall glass of Bloody Mary is full of mystery; she is a cocktail who deserves respect. 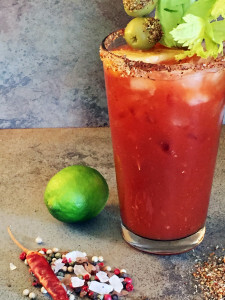 There are few drink mixes that have as many legends surrounding them as the Bloody Mary. Nobel Prize-winning author Ernest Hemingway was said to drink it to disguise the scent of vodka from his wife while they lived in Paris in the 1920s and was perhaps invented in Hemingway’s bar in New York. Rumor has it that Bloody Mary began at the turn of the century as a spicy, nonalcoholic drink to be served with oysters. Hmmm. Maybe. As we peer through our historic magnifying glass, we see more evidence to support the theory that a comedian named George Jessel invented (or at least popularized) it as a simple mix of tomato juice and vodka. There is written evidence that world-renowned bartender Fernand Petiot added spice to the drink and the legend exploded. Petiot claims that he served over 150 Bloody Marys daily while working at the King Cole nightclub—that’s a lot of green olives. 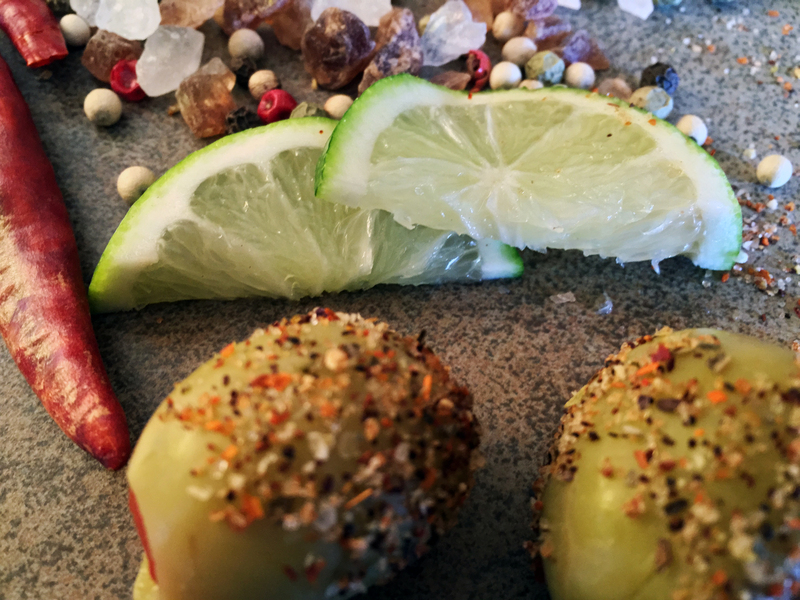 This simple mix became increasingly complicated over the decades; the salted rim was just the beginning of today’s loaded Bloody Mary. Beyond olives, carrots and celery you can find skewers laden with ribs, tiny sandwiches, or sliders on the list of possible accouterments. Talk about a power breakfast. People even argue about the name Bloody Mary. Was the drink named for Mary, Queen of Scots or May Pickford, Hollywood star or Mary, a cocktail waitress at the Bloody Bucket tavern? Nobody knows. We may not know Bloody Mary’s birthday, parentage or country of origin but we do know one thing: this wicked lady is complicated. She has a shadowy past, but her future is clear. Bloody Mary is here to stay. Infuse your favorite vodka with rokz Fiery Pepper Infusion kit. Rim a glass with rokz Bloody Mary Salt or if you are feeling extra spicy try our Citrus Jalapeno Salt. Combine ingredients and ice in a glass, stir and enjoy.